Paul Moore is back on 10 Minute Mindset to discuss his 7 Habits of Highly Effective Entrepreneurs, how some of the most successful people in the world apply these habits, and how we can use them to make a profound difference in our own lives. After graduating with an engineering degree and then an MBA from Ohio State, Paul started on the management development track at Ford Motor Company in Detroit. After five years, he departed to a staffing company with a partner. They sold it to a publicly traded firm for $2.9 million five years later. Along the way, Paul was Finalist for Ernst & Young’s Michigan Entrepreneur of the Year two years straight. Paul later entered the real estate sector, where he completed 85 real estate investments and exits, appeared on an HGTV Special Real Estate episode, rehabbed and managed dozens of rental properties, developed a waterfront subdivision, and started two successful online real estate marketing firms. Paul co-hosts a wealth-building podcast called How to Lose Money and is a writer for Bigger Pockets. Paul is the author of The Perfect Investment—Create Enduring Wealth from the Historic Shift to Multifamily Housing (2016). Connect with Paul online at WellingsCapital.com and follow him on LinkedIn. W. Kevin Ward believes the key to organizational effectiveness is a “servant-style” leadership at all levels. The servant leader, he maintains, is committed to developing their group into a team where the individuals reach their personal best. By reaching their potential, the individuals have a greater chance of becoming the next generation of leaders. Drawing on his vast experience as a teacher, trainer and consulting in business and military settings, Kevin helps his clients identify their personal and professional needs. He also helps business clients identify the talent they have in order design and implement ways to best utilize those resources. Kevin has spoken to numerous groups on a variety of topics including leadership, education, workforce development, technology as a productivity tool, and recruiting the younger generation. He also delivers motivational speeches as well. Kevin brings the ability to engage the audience in a way that few can. He helps get your message to your people to help them own the message. 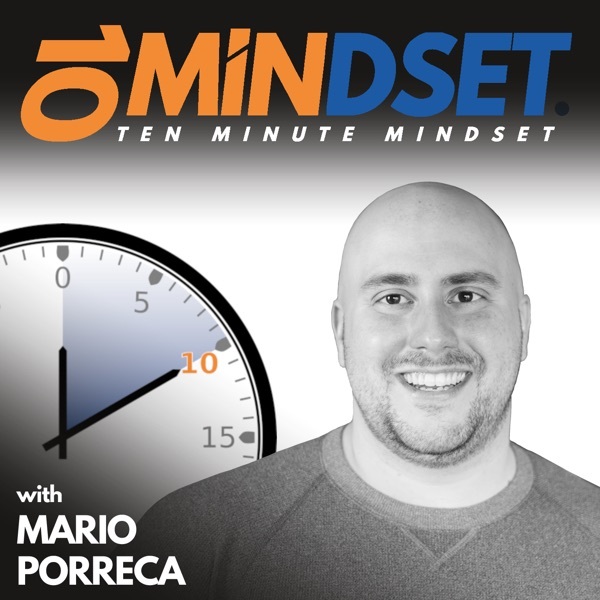 Kevin joined Mario on 10 Minute Mindset to talk about the difference between being a boss and a leader, how developing influence leads to true leadership, the generational differences in how leadership is viewed, and how servant-style leadership that aligns with a company’s vision and mission is the real recipe for growth and achievement. Connect with Kevin online at WKWConsultingLLC.com and follow him on LinkedIn.